A must for all beekeepers! 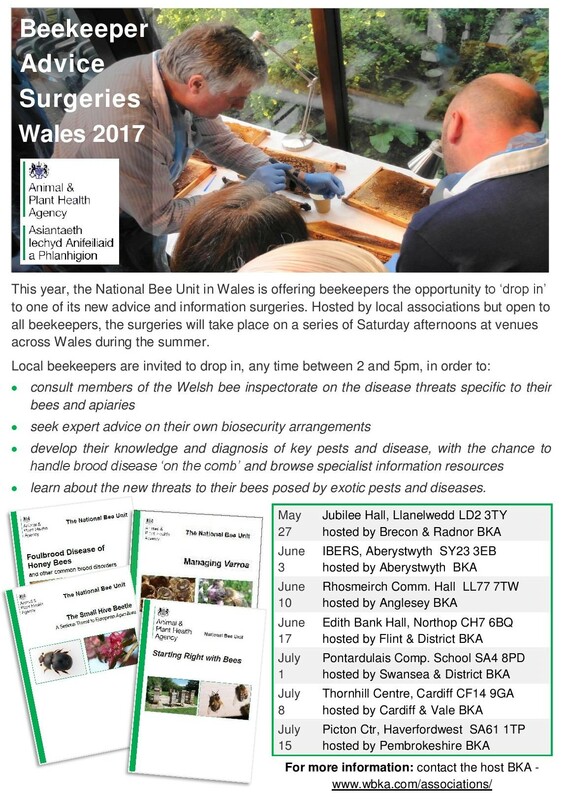 Please note that a ‘drop in’ advice surgery is to be held by the National Bee Unit and hosted by Pembrokeshire Beekeepers’ Association, at the Picton Centre, Haverfordwest on Saturday 15th July, from 2pm until 5pm. Highly recommended and all welcome!